Here in Kenya we are blessed with an amazing array of fresh fruits. 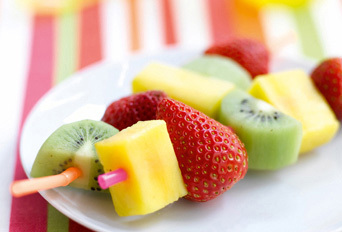 Making these lovely fruit kebabs is one way to get finicky kids to take in their daily quota of fruits. They’re also great on a birthday party menu. Kids expect a proper presentation of foods and these kebabs actually are very appealing to the eye and the palette. 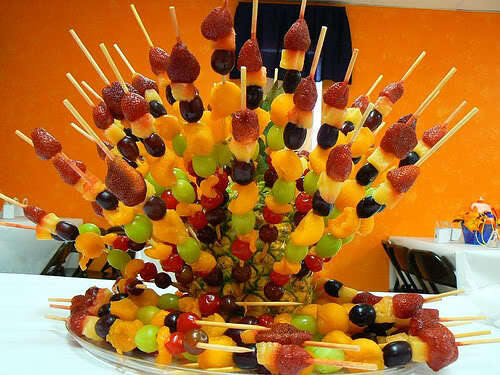 Feel free to experiment with all types of fruits and do involve the kids when making them. They’ll really enjoy it.